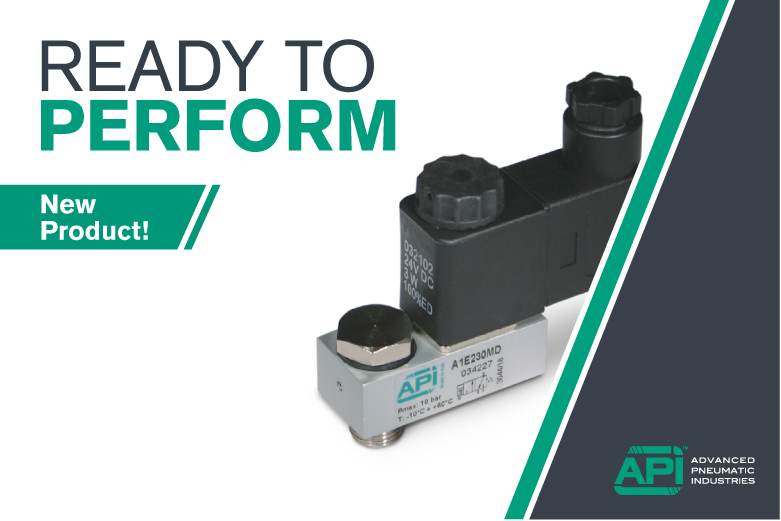 New 22 mm directly operated solenoid valves for mounting on the application Series A1EMD. These valves can be mounted, for example, directly on the connection of a single acting cylinder without pipes, or directly on the connection of a single acting pneumatic actuator without pipes or plates. The new valves are available both in the standard version and in the version compliant with ATEX 2014/34/EU, in Ex nA classification. For further ATEX classifications please contact our sales department.